What Do I Need From A Psychologist? Treating your mental health is not quite as simple as taking a few blood samples, running some lab tests, and getting a cut and dry diagnosis like you can with the flu. When it comes to psychology, everyone is an individual and must be treated thus. So, to start with, you may find it helpful to make a list or two. Write down what you feel is concerning, what you hope to improve, and other things that have compelled you to seek out a psychologist. In addition, make note of symptoms or specific examples that clued you into thinking something isn’t right. If you’re looking for a psychologist to perform a mental health test in conjunction with a school learning plan like an IEP, you’ll be looking for someone who specializes in child and family counseling, rather than someone who works strictly with adults. 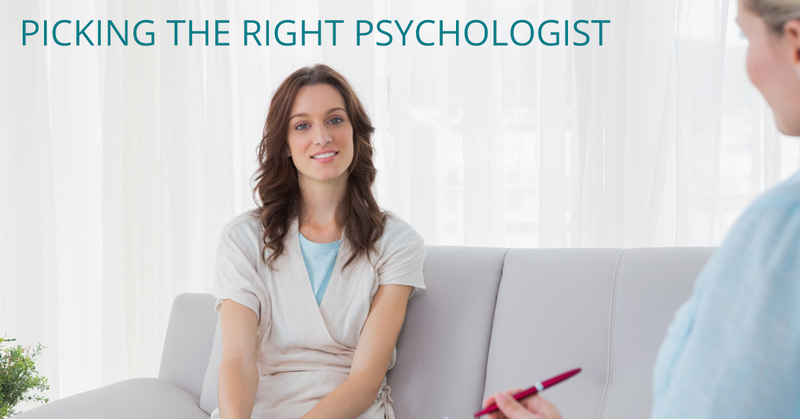 When you call a psychologist’s office for the first time, feel free to ask what their specialties are and what subset of patients they focus on. First, you should be sure the psychologist is licensed. If they are hesitant to provide credentials, you may be facing a scam rather than a professional psychologist. In addition to their licensing, ask what sorts of training they did before going into private practice. This will give you a better idea how well or poorly they might fit your situation and mental health needs. What Kinds of Treatments Do You Use? Maybe you have a good friend who has had great success with Cognitive Behavioral (CBT) Therapy. However, that may not be the right treatment for you and, as we mentioned above, your psychologist should look at you or your child as an individual and treat you thus. Just because a treatment worked for a friend, that doesn’t mean it will work the same way for you. Instead of seeking a specific treatment, ask your potential psychologist what treatments they use and what sorts of results they have seen. After all, they are the experts in their field, so they have a better idea of what treatments are available. Ask for examples but allow for personalization so you get the treatment that will best suit you. One of the most important aspects of therapy is your level of comfort or that of your child. If you’ve spoken over the phone and that psychologist sounds like a good fit, ask for a consultation. It’s imperative that whoever is being treated is comfortable with the psychologist in order to get the best treatment possible. If you’re not comfortable, treatment is less likely to be successful. The money talk is never a fun one, but it is always an important one. If you’re relying on insurance to cover your sessions with a psychologist, you will want to verify that their office accepts your insurance. Ask whether you’ll be charged for the length of each session, if they have a sliding-scale fee policy, and what happens if your session goes over the allotted time. If you would like further guidance for picking a psychologist for yourself or your child, try this set of questions from the American Psychological Association. If you live in the Eastchester area and you would like to improve your mental health, call Dr. Angela Reiter and Associates. We specialize in child and family counseling. Call to schedule a consultation to see if our experts are the right fit for you!